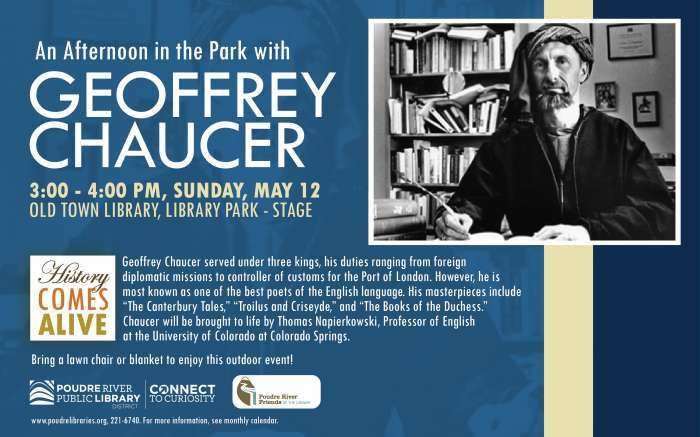 An afternoon in the park with Geoffrey Chaucer. He served under three kings, his duties ranging from foreign diplomatic missions to controller of customs for the Port of London. However, he is most known as one of the best poets of the English language. His masterpieces include "The Canterbury Tales," "Troilus and Criseyde," and "The Books of the Duchess." 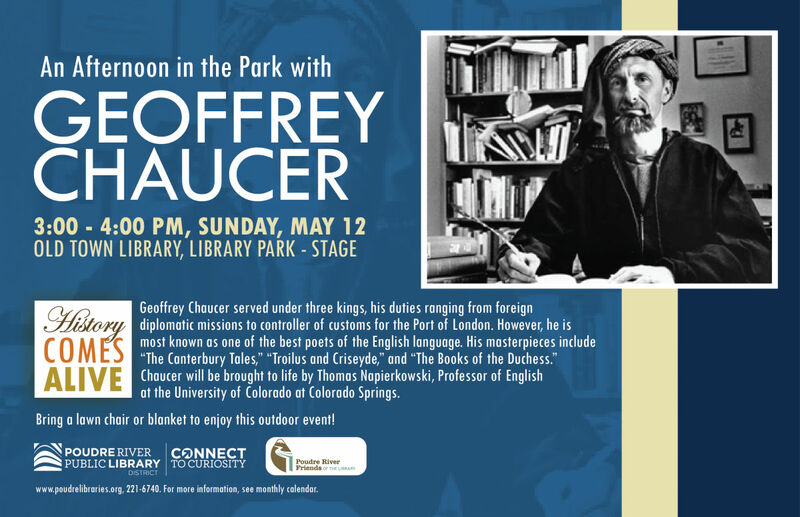 Chaucer will be brought to life by Thomas Napierkowski, Professor of English at the University of Colorado at Colorado Springs. Bring a lawn chair or blanket to enjoy this outdoor event!